WE EXIST TO CRAFT GREAT WINE, SHARE ADVENTURES & MAKE A DIFFERENCE. We believe that people should be in touch with what they consume. They should be conscious of the origins of products and understand their impact on the world from farm to table. We started Cape Venture Wine Co. & Lubanzi not only to share the beauty of South Africa and its wine & make a difference in the lives of those who live and work on South Africa's wine farms, but also, to make our world more globally conscious - connecting our consumers with the people 10,000 miles away whose very hands cultivate our wine. We strive to always be optimistic about the future and transparent in the way we conduct ourselves. We hope every consumer feels connected to South Africa through each and every bottle of our wine they purchase. There’s a million steps between the grape and the glass and all along the way we’re focused on doing everything we can to ensure environmental sustainability along the way. From only working with farms that are Integrity & Sustainability Certified©, to labeling all of our bottles with 100% TreeFree© labels, which are made entirely from recycled sugar cane pulp, we’re focused on doing what we can to minimize our impact on the planet. We’ve always believed that the people are every bit as important as the product. In that spirit, we’re proud to not only be a member of Common©, an accelerator for socially good businesses, but also be Fair For Life Fair Trade Certified©, ensuring that human rights are safeguarded at every stage of production, workers enjoy good and fair working conditions and smallholder farmers receive a fair share. Fair trade improves the livelihood of thousands of smallholder farmers and workers by providing the means for social community projects and empowerment of people. Championed by the likes of Patagonia, Warby Parker & New Belgium Brewing, B-corps encompass over 2,600 companies, 150 countries & 60 industries. Certified B-Corporations© are businesses that meet the highest standards of verified social and environmental performance, public transparency, and legal accountability to balance profit and purpose. B Corps are accelerating a global culture shift to redefine success in business and build a more inclusive and sustainable economy. Most importantly, we’re happy to call ourselves a social enterprise. 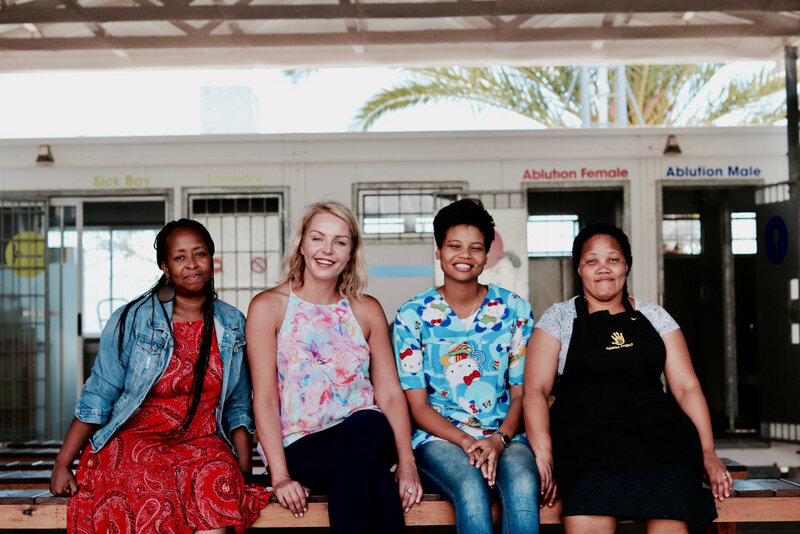 We've pledged 50% of our net profits to back the Pebbles Project, an NGO that works with the low-income families who live and work on South Africa's wine farms. They focus on growing families by providing resources and improving access to high-quality health care & education. Born and raised in the foothills of the Blue Ridge Mountains in Virginia by two novelists and professors, Walker has a keen eye for storytelling and strangers looking for a conversation. In addition to the wine gig, Walker is a song writer and musician who plays the banjo and the acoustic guitar. He graduated from the University of Richmond with a broad focus on Philosophy, Politics, and Economics. Our supporting farm currently employs over 70 full time workers who spend their lives working hard each and every day to tend to the earth and soil that grows and ultimately creates our wine. Those who grow it are at the very core of how each sip tastes, which is why we're so passionate about furthering the future of their children by trying to reidirect more of the economic supply chain to our workers by promising 50% of our profits back to them. Hailing from the small surf village of Kommetjie ('cawma-key') on the cape's southern peninsula, just a short drive from Cape Town, Trizanne is an excellent winemaker, mother and surfer. After graduating from Stellenbosch University with a degree in viticulture and oenology, Trizanne worked vintages in Australia, France and Portugal before returning home to South Africa. Bruce grew up on Surfers’ Corner in Cape Town, South Africa, where he's been surfing for over 40 years. Before venturing to Africa five generations ago, the Jacks were wine merchants in Glasgow and his great-grandfather, James Mitchell, was a cidermaker. He planted the first cider apples in South Africa on his farm at Henley-on-Klip in the Transvaal. After various false, but highly enjoyable starts in academia, he eventually washed up down under in South Australia, where he learnt how to make wine and Japanese dumplings. As he likes to say, "neither of my real children want to be cidermakers or winemakers, because they have seen that at some stage we have to stop driving forklifts and spend many debilitating hours begging for money from banks. Bizarrely, banks can’t understand why they must lend us funds so one can reflect the truth of seasons and the soul of a land in a cider or wine bottle." The secret sauce behind Lubanzi. The main emphasis of the Pebbles Project is education. They focus on enrichng the lives of disadvantaged children and families in the Winelands farming communities in the Western Cape. Their focus is on the entire life of the child and the challenging circumstances in which they live in order to make a significant and lasting difference. Since their inception in 2004, they have impacted the lives of numerous children and their families by providing support and intervention in five key areas: Education, Health, Nutrition, Community and Protection. Based in Stellenbosch, South Africa - Fanakalo has been desigining art that goes far beyond your avergae label for years. As excellent artists and crafstmen, with a keen eye for detail, they're excellent partners when it comes to bringing our story to life on our bottles and more. "Life is everything that happens in between coffee and wine"